This colourful and robust board book leads your inquisitive under 4s into helping tell the nativity story for themselves. With a simple before-and-after approach, the unique jigsaw fit pages piece together the gospel events surrounding the birth of the baby in the manger. In this delightfully easy to follow retelling of Jesus' birth, each page has a pop-out shape with a "before" scene on one side and an "after" scene on the reverse. By turning the shape over and refitting it into its place in the board page, children can see the effect of that change on the whole unfolding story. Handling the shapes with their pastel-soft illustrations and very simple text helps very young children remember the sequence of nativity events in a fun way. By introducing early learners to different shapes as the events unfold, children will discover what happens next and find themselves eager to know more and more about the baby who grew into the boy who grew into that very special man, Jesus. 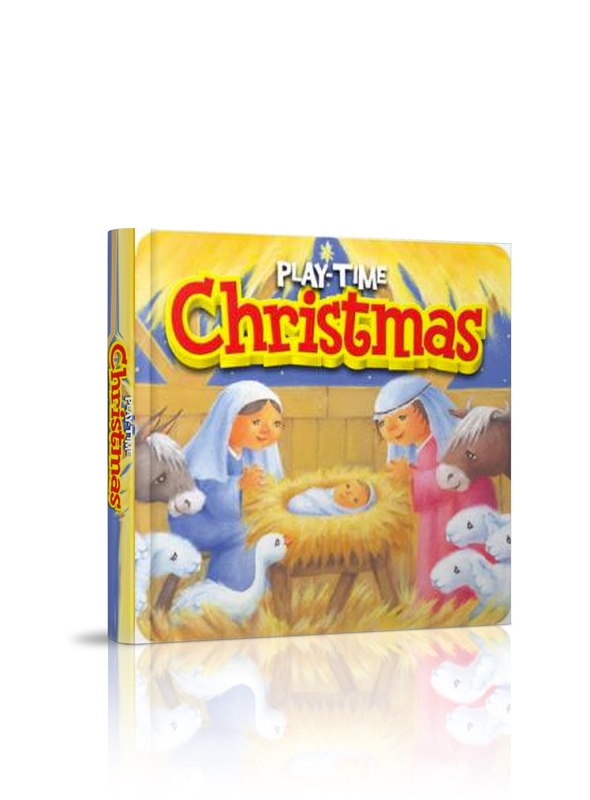 Play-Time Christmas by Karen Williamson was published by Lion Hudson in September 2013 and is our 13177th best seller. The ISBN for Play-Time Christmas is 9781859859698. Be the first to review Play-Time Christmas! Got a question? No problem! Just click here to ask us about Play-Time Christmas.